Following years of increasing direct actions in England, the British government began a full scale crackdown complete with round ups of people publishing pro-ALF literature. The SG Newsletter, once a radical mouthpiece for the underground, was targeted so often that it became mostly a prisoner support newsletter, at which point the government continued to attack it anyhow. Luckily, the ALF had clearly seen the Star Wars trilogy, because once the empire struck back it was time for the return of the vegan jedi! Small incendiary devices, housed in cigarette boxes, were being used around the country to great effect in the fight against fur. The devices were not meant to cause actual fires, instead they were created to produce smoke which would set off department store fire sprinklers, thereby damaging merchandise with cascades of water. Some stores had faulty sprinkler systems, and a few burned completely to the ground. These attacks, though extreme and unpopular with the general public, basically spelled the end of fur in England. Not only did all major department store chains cease their trade in fur coats, they also stopped advertising it, which lowered overall demand. The arson campaign was a success, but with the SG out of commission, how would activists spread the methodology behind building these devices? The answer was a network of grassroots, pro-direct action animal rights groups and their PO boxes. 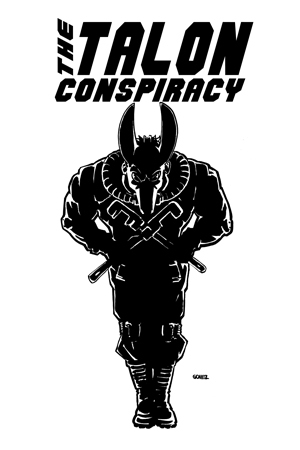 According to Kieth Mann, Interviews with Animal Liberation Front Activists had an initial print run of around 1,500 copies which were mailed to to the postal boxes of supportive groups. Inside were detailed instructions (which we have edited out due to federal laws pertaining to the dissemination of information to build destructive devices) on a number of fire bombs, as well as press clippings and interviews with the people behind much of the resistance taking place in England. Careful readers will notice pages missing from our .PDF of “Interviews.” The reason for these missing pages is that after many years of photocopying the publication the final several pages, which contained addresses of laboratories, had become obsolete. In fact, many of them were out of date at the time of publication as they had been taken from documents issued by the Home Office in 1981, 5 years prior to the printing of this issue. As time went on these pages were omitted more and more frequently. 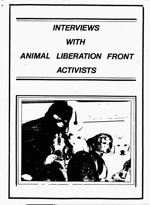 We are looking for a complete copy of Interviews with Animal Liberation Front Activists, preferably one with sharper images and the old lab addresses. Please contact us at conflictgypsy (at) gmail (dot) com if you can provide us with one.